Aaron Cole April 1, 2019 Comment Now! For Mercedes-Benz, which first plunked an inline-6 under the hood of a passenger vehicle in 1926, reading from the same large-print playbook is something that I can relate to. 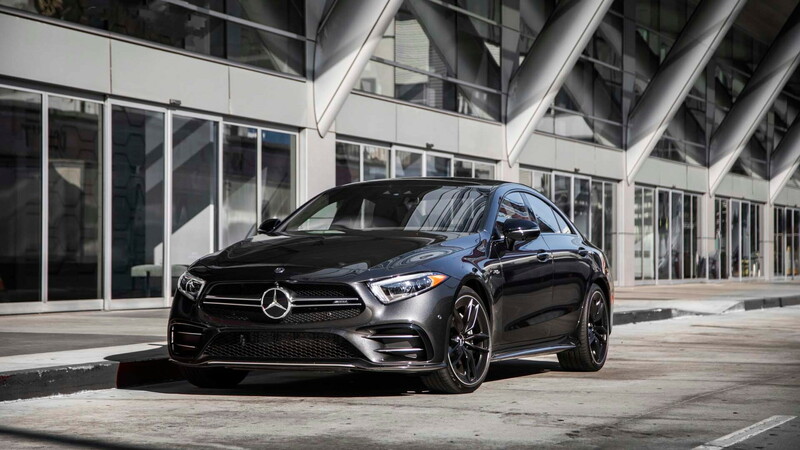 The 2019 Mercedes-Benz CLS 53 AMG’s most visible ploy is its seductive shape with a fast roofline—it’s gotten better after multiple generations, most of us can’t say the same as we age—but its calling card should be its new 3.0-liter inline-6 engine with forced induction. The nebulous term “forced induction” wasn’t because I didn’t read the fine print; it’s necessary because pinning down the CLS 53’s busy powerplant is hard to do. The new inline-6’s tricks are twofold: a compressor that acts like a supercharger and turbocharger (but also neither) and an integrated starter generator that acts as a hybrid powertrain, despite not driving any wheels alone. The key difference between the CLS 450, which is also driven by a boosted 3.0-liter inline-6, and the higher-power CLS 53 is how busy the forced induction compressor is that’s strapped alongside the engine. Driven by electric power at low rpm and exhaust gases at higher rpm, the boost fed into the straight-6 starts at 8 psi and climbs rapidly to more than 21 psi at full song. That extra boost pressure compared to the CLS 450 contributes to the AMG 53 engine’s swollen bottom line: 429 horsepower and 384 pound-feet of torque. Compared to the CLS 450, the AMG massage adds 67 hp and 15 lb-ft of torque, along with 192 extra pounds of curb weight mostly from the standard air suspension setup. 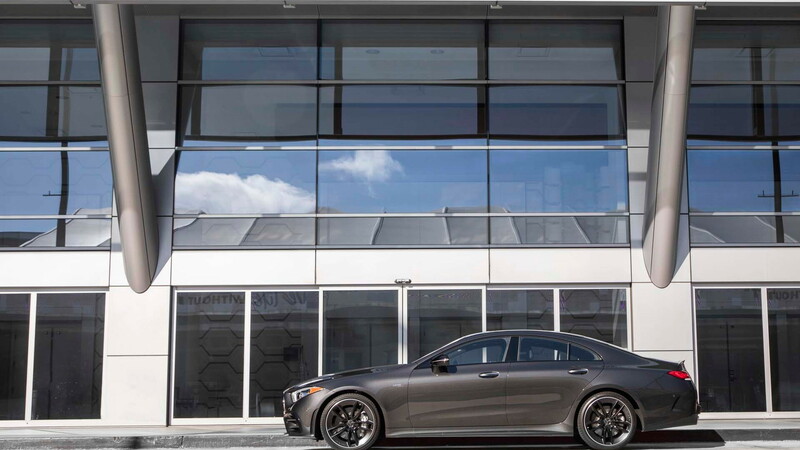 According to Mercedes, the CLS 53 hustles harder up to 60 mph; it shaves more than a half-second compared to a comparable CLS 450 with all-wheel drive, mostly due to more boost from the AMG’s forced induction system. The claim of a 4.4-second sprint up to 60 mph is believable, even on a rainy day. The integrated starter generator spools up the compressor quickly, just 1,800 rpm is needed to hit the fattest slice of the torque’s ample curve and the power builds in a progressive way toward the CLS 53’s peak horsepower, right at 6,100 rpm. The starter generator relieves the engine of driving any accessory systems from a belt—A/C, water pump, auxiliary power, and boost are all electrically powered. That build of predictable power isn’t unlike the twin-turbo V-8 power of the CLS 53’s chief rivals from Audi and BMW—the wall of torque from a quickdraw turbo starts what the horsepower finishes in all three. Unlike the V-8s from Audi and BMW, the Mercedes-Benz inline-6 lacks a throaty, natural idle snarl and trades it for exhaust-flap and induction help that, while not strictly necessary, is just as endearing. At full blast, in Sport or Sport+ modes with the active exhaust button set to “Powerful,” the CLS53 scatters overrun into the Napa countryside like skins and seeds. It’s rich and combines with the deeper induction sounds to sate any wanton lust I have for a V-8 lump in the CLS’s snout. But better than that, the inline-6 offers benefits that tickle my mature sensibility. At a more relaxed pace, the CLS 53 manages better fuel economy than any V-8 could offer. In a 64-mile jaunt from Napa to San Francisco, in stop-and-go traffic and steady-state cruising, the CLS sipped fuel at a 27.6-mpg average—far better than the outgoing CLS 550’s V-8 that was rated at 17 mpg city, 25 highway, 20 combined with all-wheel drive. The inline-6 hangs less weight onto the shoulders of the CLS, too. 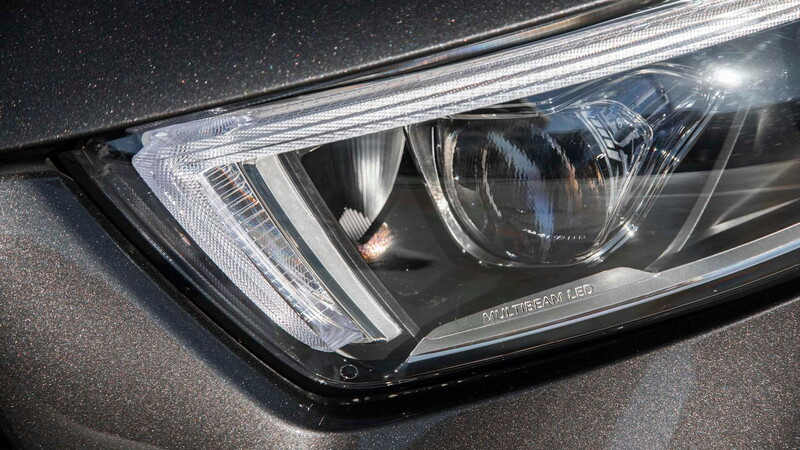 The nose feels lighter and nimbler, and although the quicker rack compared to the CLS 450 lacks some heft, the CLS 53 sharply steers in and out of corners with flatter braking and a lighter, quicker first step. It all amounts to a CLS 53 that feels agile and smart, with a smoothness that an inline-6 and one fewer cam can provide compared to a V-8. There’s less friction in the CLS 53’s engine, and despite solid engine mounts, the straight-6 springs from a stop without shuddering or even a discernable start thanks to the seamless start from the integrated starter generator. 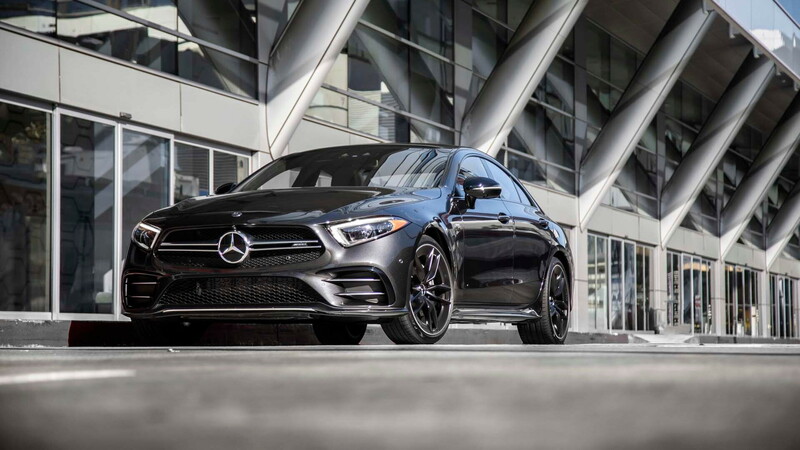 Although AMG spokesmen insist that the new inline-6 isn’t a replacement for V-8 power—likely in deference to a hotter V-8-powered CLS 63 that may arrive sometime later—its deep wells of power and ample street performance suggest otherwise. Even without a V-8, the CLS 53 is worth every letter of its AMG badges. There is a replacement for displacement: it’s called balance. 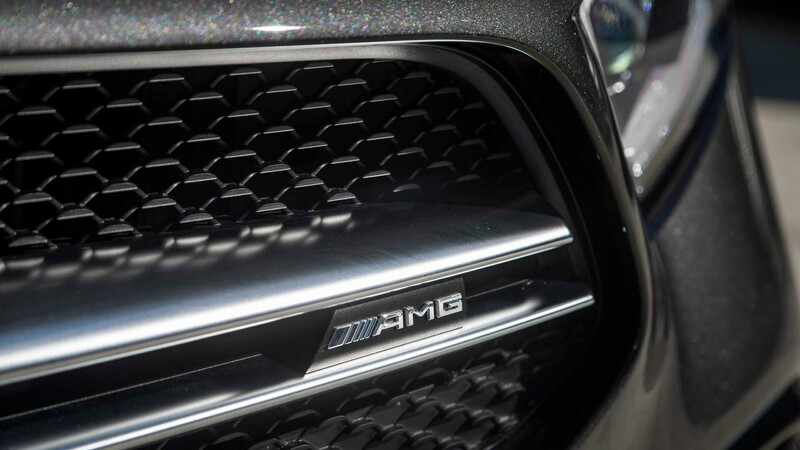 The only hiccup in the AMG’s cogs? The 9-speed automatic hooked to the CLS53 lacks the preternatural shift speed and logic of the ZF-sourced 8-speed found in its contemporaries. Mercedes-Benz’s unit is smooth-shifting and quick when called upon by its steering wheel-mounted paddle shifters, but it lacks the “have it both ways” dual personality of the 8HP. Nit-picking: It’s what us olds do best. I do better at being coddled in luxury, swathed in heated leather everything, soothed by the sounds of Pablo Cruise on a long lope toward the oceanside. Behind the wheel of a 2019 CLS 53 on a rainy day in Northern California is a good place to be. For hours, the CLS 53 settled into a mile-chewing gallop, equally unafraid of triple-digit speeds and stop-and-go slogs on Bay Bridge traffic. The CLS 53 also benefits from the standard all-wheel drive and an adjustable air suspension that toggles among three settings for firmness. In its softest setting—the setting most likely to be used every day—the CLS 53 rides drama-free on its optional 20-inch wheels (19-inchers are standard). Firmer settings transmit small road imperfections back into the cabin but nothing untoward or needlessly busy. To that end, the CLS 53’s rack is marginally quicker than the CLS 450 (14.5:1 vs. 15.1:1) but it’s still weighted toward effortless twists at the tiller than hefty tugs at the thick AMG rim. And that’s more in line with the CLS 53’s first priority: keeping all the old bits on me from sliding out of place. The standard power-adjustable, heated front seats easily can be upgraded to snug, supportive, and cooled AMG buckets with love handle-friendly bolsters shod in grippy upholstery. An $1,100 acoustic package upgrade converts the serene cabin into a rolling sensory deprivation chamber—Burmester sound fills the void with crystal-clear yacht rock, too. It adds up to a luxury car that’s geared toward street performance instead of track aptitude—mileage, power wells, and effortless boost are proof. I’m too old for manually adjustable track dampers anyway. The 2019 CLS 53 coupe pushes ahead into the future with an old idea under its hood—almost 100 years old for Mercedes-Benz, in fact. I can appreciate that sentiment—and the big AMG badges on the trunk, fenders, and engine cover, too. I don’t need my eyeglasses to see those.